Many professionals know about the “quick message” technique, and successful practitioners use it several times each day. Done well, it’s natural sounding, immediately engaging and it often generates new patients. It’s a brief info bite–a branding message that you control–which immediately tells people what you want them to know about you. The fact is that, more than every before, practitioners need to differentiate themselves—by personal brand and professional reputation—amid the intensely competitive world of healthcare. The 30-second quick message is a golden opportunity to distinguish yourself, your profession and your practice. And, know it or not, you are “networking.” Everyone in business is networking. Practitioners ARE the business in the mind of the public (consumers, prospective patients, patients). Presenting a quick and compelling verbal message is a key part of your branding effort, and memorable messages are often repeated by both patients and professional colleagues. 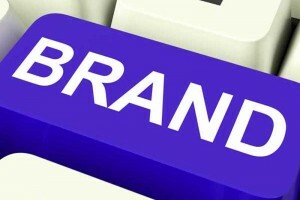 To a great extent a practitioner’s personal brand is shaped by the message that is crafted and presented. First fundamental: Say why someone should care. The essential element of virtually all marketing is communicating value, benefit or resource to the audience. Understand their need. What’s meaningful to people is in knowing how they, the audience, can benefit. The other first fundamental: How or why you are different and better. Differentiating yourself provides a clear choice; say something the competition can’t say. What is your unique practice/clinic proposition? Watch your language. Be understandable; use words that are strong, clear, memorable and engaging. Target your audience. You’ll likely need more than one version to match the listener, interests, circumstances and/or goal. Provoke interest and a sense of wanting to know more. Craft your speech carefully and thoughtfully. Keep it simple and brief; 30 seconds is ideal; 60 seconds is max. Focus. Stick to one primary (differentiating and beneficial) idea. Use an attention getting or provocative opening. Stories, emotions and metaphors are memorable. Inject genuine enthusiasm; it’s contagious. Use it frequently and wear it comfortably. It can be a challenge to be clear, concise and memorable in a brief message. It is an underutilised, but highly effective, marketing tool, one that you control to continually present your brand message for the practice and shape your professional reputation. If you are a Chiropractor, Physiotherapist, Podiatrist, Psychologist, Osteopath or other Healthcare practitioner who owns their own practice or clinic and are looking for help with your practice or clinic then using Ideal Practice as your healthcare business coach is the first step. * Our Guarantee is not granted to all clients we engage. Through the Audit process, we let prospective clients know if they do indeed qualify for our guarantee and what the conditions are of this guarantee.